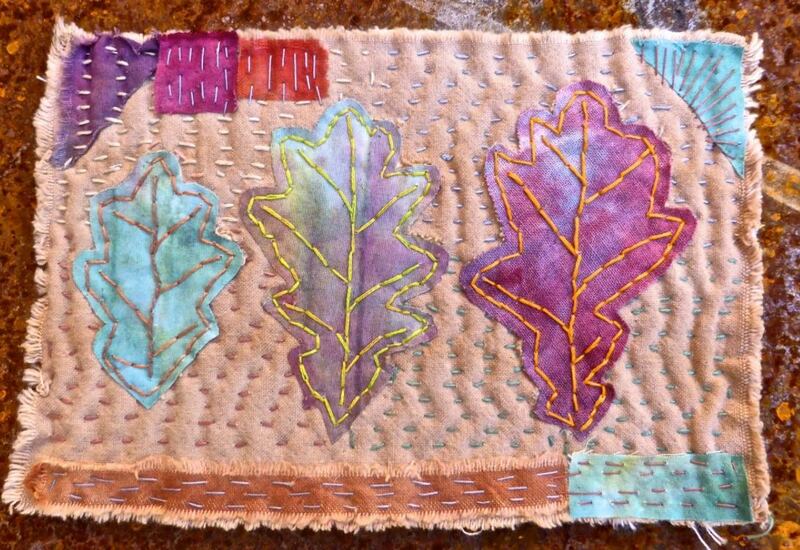 ​Mixed media textiles that include dye and stitch and ecoprints, and small fabric books. 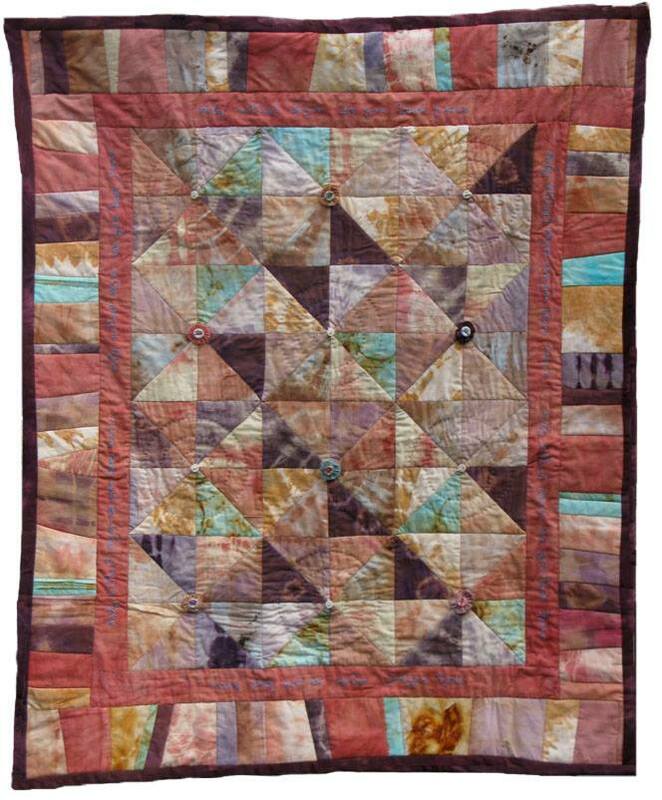 Natural dyes are predominantly used and research into traditional Shibori techniques. I like to play with slate and to make small maquettes to explore my ideas. 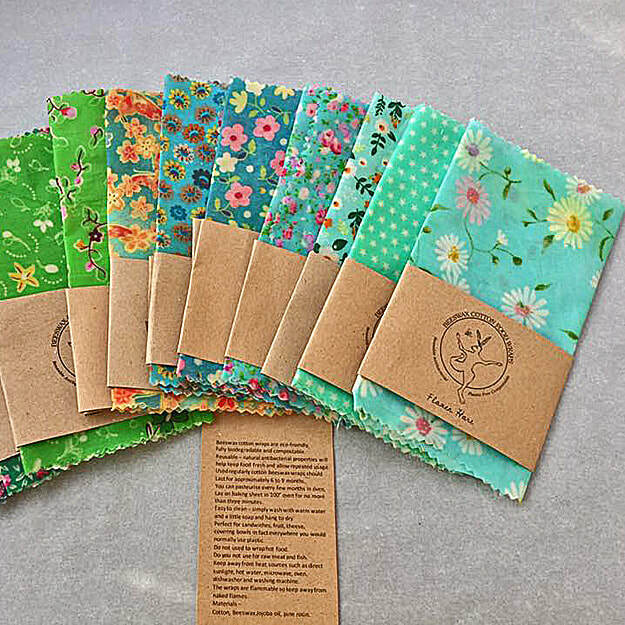 i make environmentally friendly beeswax wraps which are a welcome alternative to clingfilm along with washing up scrubbers, washing up cloths and hand made bags for potatoes and bread. I also make pretty Harriet Hare toys, knitted hats and scarves and beautiful eco printed cards. Most evenings you may find me knitting or crocheting.